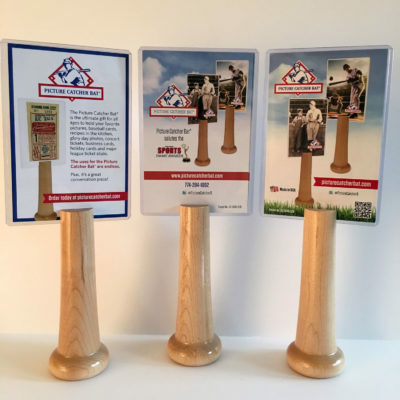 The BALL CATCHER BAT™ is the All Star way to display your most memorable baseballs e.g., autographed, game day, home run, first pitch, etc. BALL CATCHER BAT™ also makes the perfect centerpiece for any baseball themed event. Add your own personalization by having the BALL CATCHER BAT™ handle engraved with your choice of text or logo. 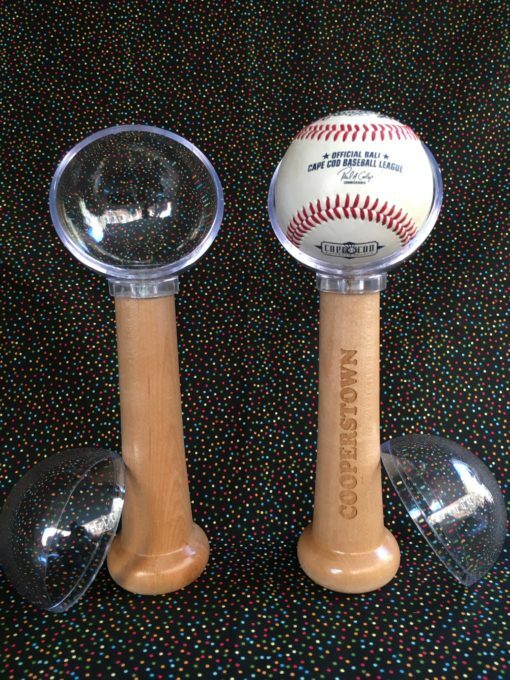 When you think of the classic saying, “as American as apple pie and baseball”, BALL CATCHER BAT™ is all that. Made in America, made locally and invented locally.